My first encounter with the African River Goddess of love Oshun was rather interesting. I was at a “bembe” or gathering with heavy beating drums and food galore all about. Suddenly there was a slight commotion in one of the rooms at this event and somehow found my way in the middle of all of it. Everyone was surrounding this rather tough talking woman (giggling at the same time) when she abruptly &amp; sternly called me over ,”Tu muchahca! ven aca” ( You girl! come here.) my heart was pounding as I was meeting for the first time this wonderful goddess using an unknown person as a vessel for possession &amp; communication. The woman slowly and seductively started pouring honey into her mouth and drank a glass of water and “SPLAT”! Literally spit all the honey and water that was in her mouth onto my face. I didn’t know what to think or how to react when that happened. I had so many mixed emotions all instantly come up at the same time. I was embarrassed yet relieved at the same time. I really can’t explain it but, that was my first encounter with this love goddess. With the 15+ years that have passed since that experience, Oshun has become my ally. Every time I think back to that moment I came face to face with her waters, I realize what she was trying to tell me, without actually telling me. She has taught me the value of family, relations, friendships and pain when we neglect ourselves. My home is my temple. It is truly my place of refuge from the world where I feel complete and safe. Oshun is at the head of my home and the goddess I leave all my worries to. She makes sure my home is protected, abundant and peaceful, never lacking but rather always overflowing. 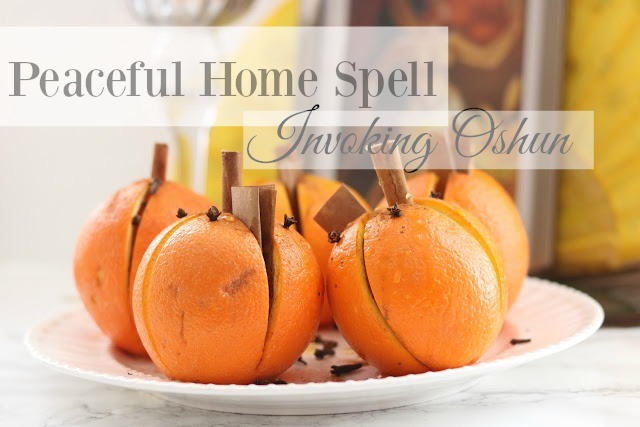 If you would like to also invite that loving energy of Oshun into your home check out below this beautiful and sweet smelling offering/ ritual to help you connect with this Goddess. 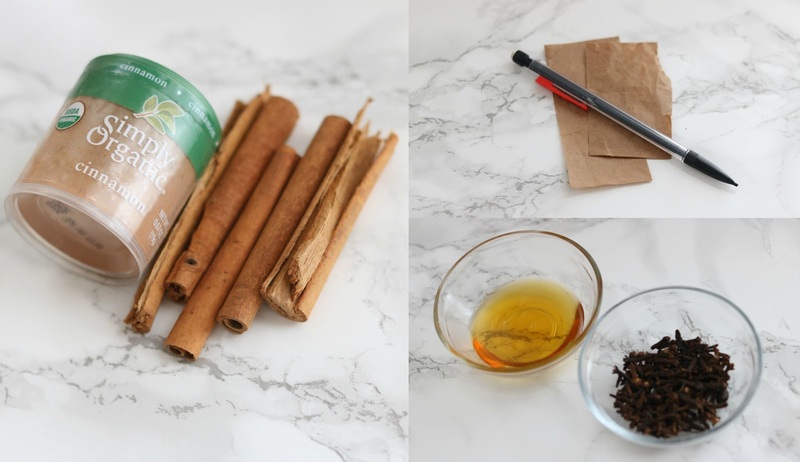 Cinnamon Powder + Cinnamon Sticks : Associated with the element of fire, Cinnamon helps clear your mind as well as ground your energy. Sprinkle onto your offering to bring stagnant energy into motion and set your intent on “fire”. Honey: Calming &amp; cooling effect to the offering. Oshun’s favorite food you can never go wrong with a little honey. Cloves: Associated with the planet Jupiter (planet of luck), use in ofering to attract money, opportunities and abundance in general. Repels negative energy from your home. Brown Paper: Use to write down your intention or wishes. Brown paper is ideal as it represents the earth element (think trees, dirt). Helps ground your wish and intent. Pencil: Lead in most pencils provides an added element. It provides your intent/wish with longevity and protection from negative thoughts aimed at your goal/ wish or intention. This spell will root you and your family to your values and everyday foundations to life. Oshun is very maternal and a fierce protector of families. This spell can be left out on your altar or sacred space for 3-5 days or depending on how quickly your offering begins to build mold. Once done, you can throw away in your garbage or take to the woods and provide to a tree as an offering. Check out out to set up your offering on my channel. Subscribe below! 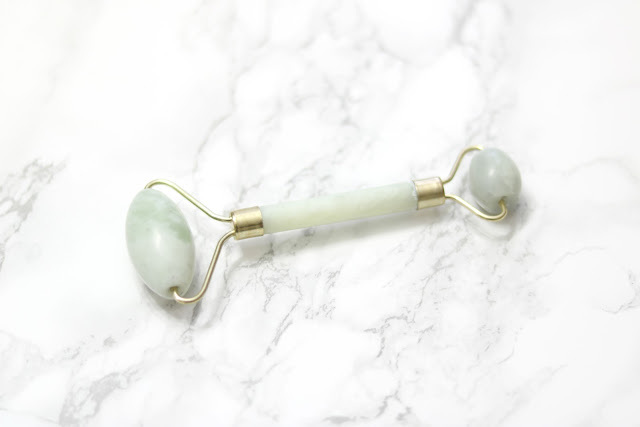 Right when I thought I’ve come across every beauty secret and tool there is known to woman kind, along comes this awesome little tool known as the jade face roller. Yes, a stone roller for your face. I was really intrigued when I first learned about this because as you all may know I love crystals and stones and anything infused with them. I also own a few jade pieces so I’m familiar with the healing vibes of Jade. Jade has many interesting qualities that can be very soothing and comforting to the aura. It is very cooling, healing and protective of one’s energy field. Metaphysically, Jade is ideal to help calm the mind and connect with higher powers such as dream recall, astral projection and communication with Guardian Angels and Spirit Guides. It is also very harmonizing to the human energy field. Many overlook the healing properties of stones and Crystals and Jade is one not to overlook if you’re having health issues. Ancient Mayans used Jade to guard against Kidney and Bladder problems, while other cultures focused on its healing energy to the spleen. History has it that Chinese royal women used Jade face rollers to stimulate blood flow to the face, open pores and encourage lymphatic drainage. Jade by nature is very cool. It seems to always maintain its cool feeling despite the room temperature which makes it ideal for dull and congested skin tones. It’s very easy to use. I use it on clean bare skin usually right after washing my face at nigh &amp; right before I apply makeup in the morning. Upon further research face rollers are actually a thing the beauty industry has picked up on. Check out this post to learn more about what other types of rollers are on the market. Some can be a little abrasive while others “prick” your skin to stimulate the skin, regenerate new skin cells as well as promote collagen production. I’ll most likely stick to this Jade roller for now, but definitely will be adding more of these gadgets to my beauty routine. 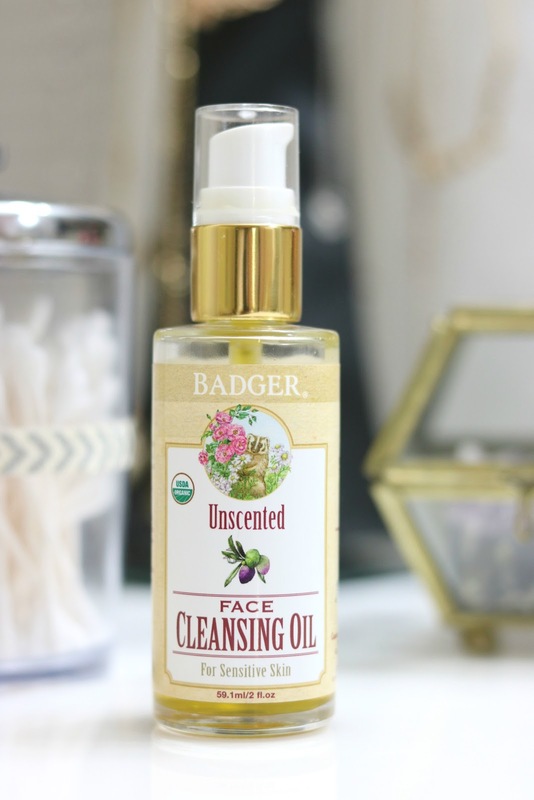 The oil cleansing method is a beauty routine I’ve know about for several years now, but never got around to incorporating it into my skin care routine. I actually tried the oil cleansing method with coconut oil years ago when I first heard about the OCM and it broke out my skin pretty bad. So I steered away from applying oils to my face entirely. 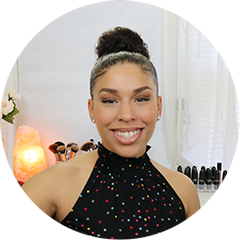 Fast forward to a couple of years and it seems that oil is all the rage in the beauty community as many brands, even drugstores, are popping up with all types of oils to cleanse and remove your makeup. So, what is the OCM? For those with oily and acne prone skin, you may be saying to yourself, ” Is Jessica crazy? Just oil to the face?” But in fact this may be the best thing for your oily skin (or any skin type, really!) to help balance your skin &amp; combat oil and breakouts. It’s simple. You clean your face with oil (or remove makeup) as opposed to the common stripping soap/chemical based cleansers we’re used to. Natural oils absorbs into the skin protecting and nourishing its many layers. Natural oils are also non-comedogenic (won’t clog pores) making it ideal for all skin types. So there you have it. Beat Oil with Oil! There are 3 simple steps you need to take when doing the OCM. 2. Gently massage oil to face for 2-3 minutes. I do circular motions and leave my eyes for last especially if I have mascara on as I don’t want to spread the mascara over my face so I limit it to my eye area last. 4. 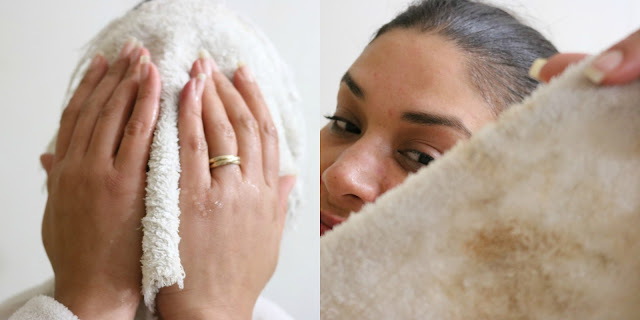 Gently wipe off oil and makeup with towel. Use index and pinky fingers to exert less stress along sensitive eye areas. Picked up a lot of makeup! Pros: I’m glad I did not shy away from trying the OCM again because my ultra sensitive and dry skin has been loving oil as a makeup remover. This cleanser contains all natural and organic oils as opposed to the chemical and filler based makeup removers like I’ve been used to which only tends to irritate and clog my pores. Another pro is that the packaging is very sleek and comes in a glass bottle and waterproof label ( perfect for the shower) &amp; of course a pump gives it an extra edge. Cons: I was not too sure about any cons with this product because the oil itself does the job. The only thing I found annoying was the need to have clean towels at hand every time I wash my face. It is recommended to use a muslin cloth or a face cloth that won’t be too abrasive. Overall, my skin doe s not feel so dried out or tight after cleansing. Most people skip soap cleanser after cleansing with oil, but I feel I’m left with a bit of residue so I follow up with a organic/ gentle soap cleanser and notice how moisturized my skin still remains. Have you tried face cleansing oils? Which are your favorites? Check out the review on my YouTube Channel here!